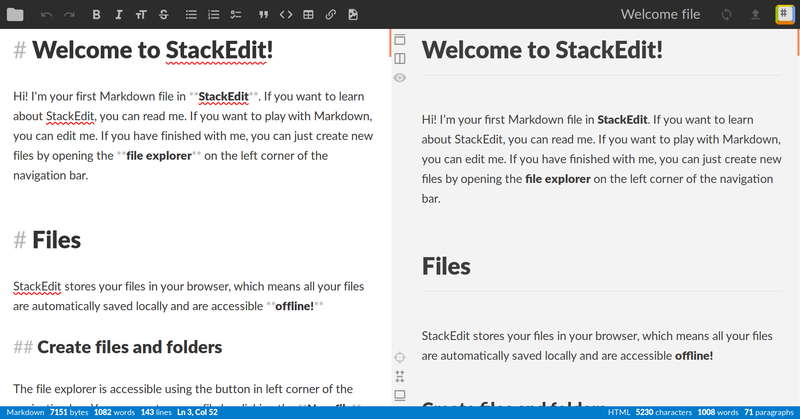 If you didn't know already, I write all my blog posts here in markdown. I've used several markdown editors over the years (wow it's strange to write that), and I thought I'd talk a little bit about the ones I've used, what I liked about them (and the things I didn't), and what my current preference is. Firstly though, why would you want one? Couldn't you just use a regular text editor like Notepad++? Well, yes - but a dedicated editor has several benefits: Proper spell-checking for one, a live-preview for another, and other nice features that make the experience just that little bit better (I'm even writing one of my reports for University in Markdown, and I have to say that the experience is much more pleasurable than using Microsoft Word :P). I like Markdown itself rather a lot too. 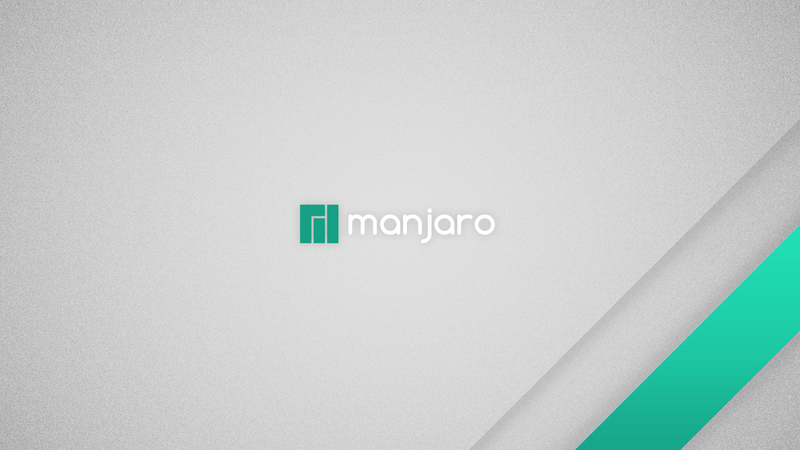 First invented by John Gruber over on daringfireball.net, Markdown is a simple markup language that's inspired by the things that people already do in instant messaging and other text-based mediums. It's designed to be both easy to read and understand on it's own, and easy to write in - such that it doesn't break your flow as a writer by requiring you to look up how to figure out how to apply that particular bit of formatting (I find myself having to do that with LaTeX and others a lot). The first contender up is StackEdit. It's an in-browser offering, which saves it's data to your local machine (or the cloud). It comes with a number of nice features - apart from not having to install it of course - such as synchronised scrolling in the live-preview, and a 'publish' button to send your document to a number of different sources automatically. Since I used it last (which was quite a while ago, actually), it appears to have received a sizeable update, updating the user-interface to be more polished and aesthetically pleasing, and adding a toggleable folder structure to the left-hand-side, amongst other things. If you can't install anything or run portable programs from a flash drive, StackEdit would be my recommendation. Next up on my list is Classeur. 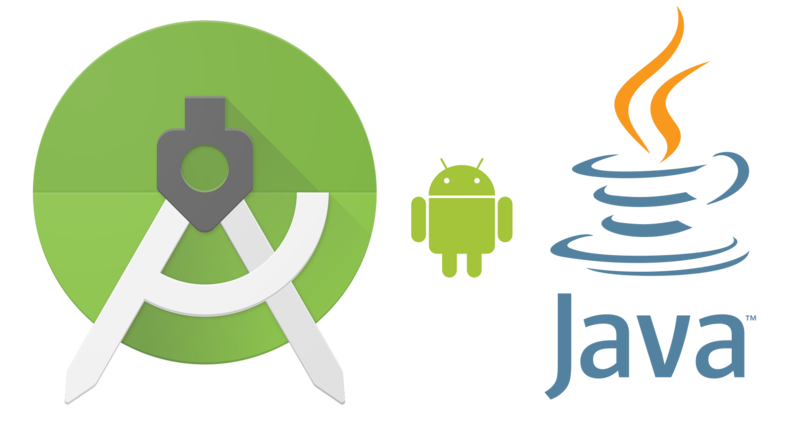 It's another browser-based offering, with many of the same features, just with a different UI. 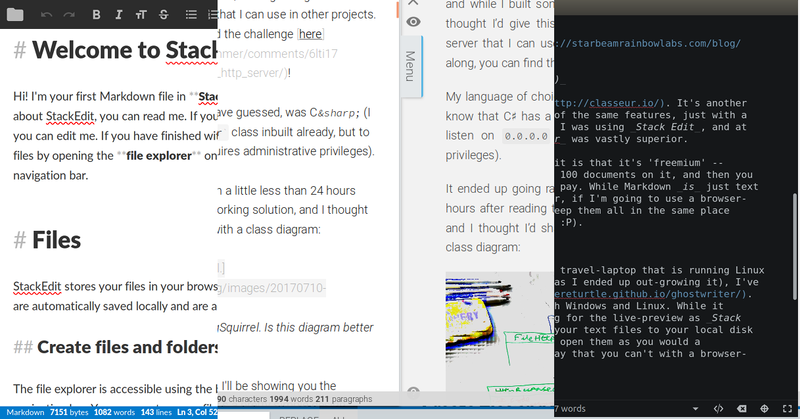 When I discovered it I was using Stack Edit, and at the time the interface of Classeur was vastly superior. The main thing I don't like about it is that it's 'freemium' -- meaning that you get to keep about 100 documents on it, and then you either have to delete something or pay. 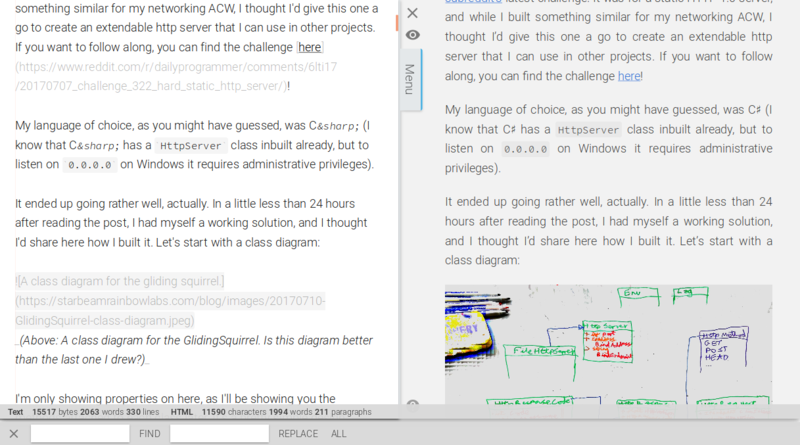 While Markdown is just text documents I can keep on my computer, if I'm going to use a browser-based solution I would prefer to keep them all in the same place (though I never did hit this limit :P). 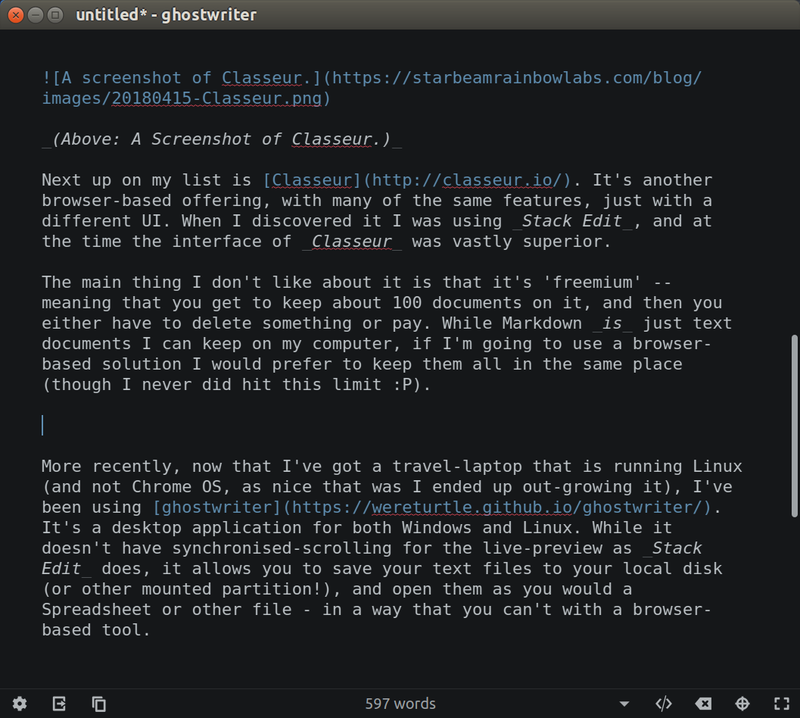 More recently, now that I've got a travel-laptop that is running Linux (and not Chrome OS, as nice that was I ended up out-growing it), I've been using ghostwriter. It's a desktop application for both Windows and Linux. While it doesn't have synchronised-scrolling for the live-preview as Stack Edit does, it allows you to save your text files to your local disk (or other mounted partition! ), and open them as you would a Spreadsheet or other file - in a way that you can't with a browser-based tool. The interface is also highly customisable - if you don't like the built-in themes, you can write your own. You can also write your own stylesheet for exported documents too. In addition, it automatically detects multiple different markdown renderers that may or may not have installed, allowing you to switch between them (and the inbuilt sundown processor) at will to get the exported document (e.g. HTML, PDF, EPUB, etc.) looking just the way you want it to. For me, you can't beat the feeling of a native desktop application, so currently ghostwriter is my markdown editor of choice. If I can't use ghostwriter, I'll probably use StackEdit, with Classeur coming at the bottom of the pile. If you're thinking of doing some writing, I'd highly suggest considering using a proper markdown editor such as the ones I've mentioned here. If you're not familiar with markdown, fear not! It's easy to learn, and all 3 of the editors featured here feature a quick-reference guide sidebar (or floating window) that you can enable to help you along. Found this useful? Got a different editor of choice? Comment below! I haven't seen it used recently, but when I first arrived at Hull University to start my degree, that's the phrase I saw on a number of posters about the place. I've been thinking about it a lot over the course of my degree - and I've found that it has rung true more than one. My understanding of programming has been transformed 3 times that I can count, and before I get to the Languages and Compilers review that this post is supposed to be about, I'd like to talk a little bit about that first. Then, when I was finishing up my year in industry, my understanding was transformed again. I realised the value of the experienced I'd had while I was out on my year in industry - and they have not only shown me mechanisms by which a project can be effectively managed, but they have also given me a bit more of an idea what I'd like to do when I finish my degree. Finally, I think that in Languages and Compilers is the third time I've changed the way I think about programming. It's transformed my understanding of how programming languages are built, how their compilers and interpreters work, why things are they way they are. It's also shown me that there's no best programming language - there only the best one for the task at hand. With this in hand, it gives me the tools I need to pick up and understand a new language much more easily than I could before, by comparing it's features to the ones that I already know about. I've found a totally new way of looking at programming languages: looking at them not on their own, but how their lexical style and paradigms compare to those employed by other languages. If you're considering whether a degree in Computer Science is worth it, I'd say that if you're serious about programming for a living, then the answer is a resounding yes. Have your own thoughts to add about (your?) CS degree? Have a question? Post a comment below!